Just beating the soon to be released Green Lantern movie starring Ryan Reynolds, Warner Bros have released their latest direct to DVD animated feature film, Green Lantern: Emerald Knights that stars Nathan Fillion as Hal Jordan, Earth's Green Lantern. This movie is also the perfect precursor to the movie as not only does it explain the origins of the Green Lanterns but also key characters to the mythology. 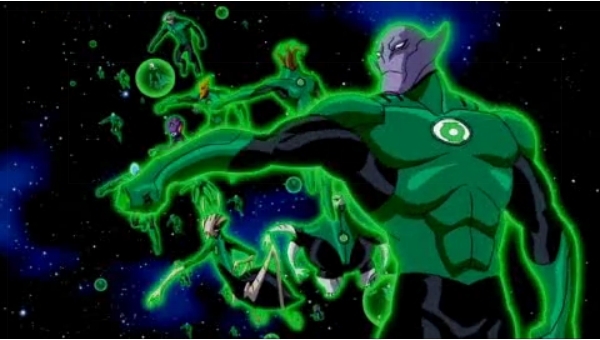 For the uninitiated, the Green Lantern Corps are made up of thousands of aliens from around the universe who were given a power ring by the immortal Guardians of the Universe. This ring allows the Green Lanterns to create anything they can imagine and is only limited by their will power. Green Lantern Emerald Knights is there story. 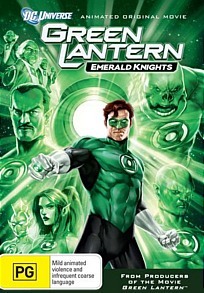 Although this is a collection of Green Lantern stories, the story begins with Hal Jordan telling Arisia (Elisabeth Moss), a new recruit of the Green Lantern corps a variety of stories regarding the history of the corps as they are preparing to defend themselves from Krona, a rogue Guardian who has been banished to the anti-matter universe but has someone managed to manipulate things in our universe. There's some great fan service included in this story and features all the main characters of this mythology such as the planet sized Green Lantern Mogo, drill instructor Kilowog who trains the new recruits to Sinestro (Jason Isaacs) who will one day be banished from the corps as a Green Lantern. 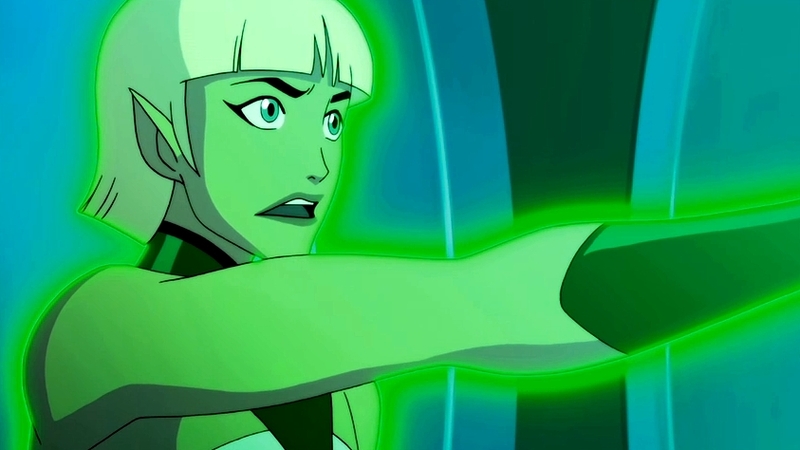 I also loved the first tale which revolves around a scribe called Avra who was one of the first lanterns to use the ring to make energy constructs. It's quite a humbling tale. As a comic fan, it was a blast seeing the Green Lantern universe come to life and even current Green Lantern scribe, Geoff Johns lent his talents to this DVD which is as official as it could be. There are also several other comic writers who assisted in this story that include Peter J. Tomasi, Eddie Berganza, Dave Gibbons, Marc Guggenheim and Michael Green. This is probably more official than the Green Lantern movie which has been hollywoodised. My favourite story however revolved around Kilowog and how this alien went from "green" recruit to one of the corps most revered driller instructors. This tale was to inspire Arisia that everyone has hidden will power inside them which fuels the Green Lanterns. There are no drawbacks to this DVD at all and even if you don't know who or what a Green Lantern is, the writers have ensured that no one is penalised in watching Green Lantern: Emerald Knights, whether long-time fan or casual viewer. It's been perfectly pieced together. 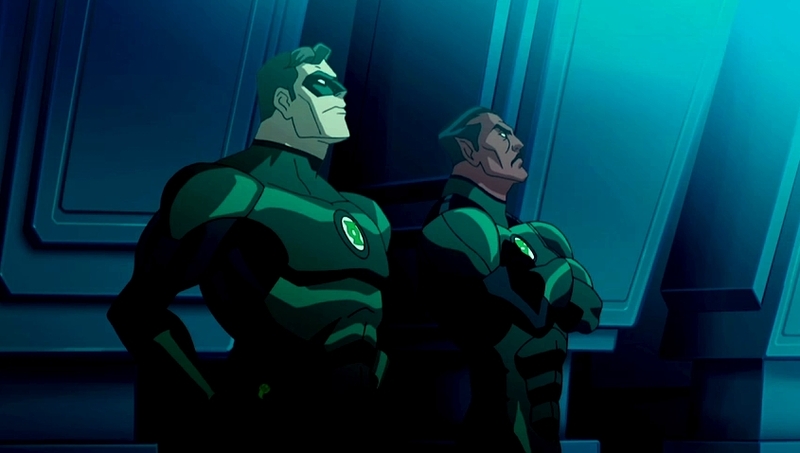 With action, drama and intrigue, Green Lantern: Emerald Knights is your classic science fiction cartoon story that can be watched by people of all ages. It's definitely one of the better DC animated films and looks amazing on DVD with sharp images, vibrant colours and some awesome animation. Unfortunately compared to the Blu-ray releases of Warner Bros, the special features are quite lacking here that only contains two real features. These include two sneak peaks at Batman: Year One and All-Star Superman which are basically long trailers with interviews thrown into the mix.